P patients were infected with antibiotic-resistant bacteria living in the sanitary installations of the National Institute of Health Hospital in Bethesda, Maryland. They contributed at least three deaths in 2016. The New England Journal of Medicine found that from 2006 to 2016, at least 12 patients were infected with Sphingomonas koreensis, an unusual bacterium, at the NIH Clinical Center, which offers experimental therapies and conducts research studies. The article, written by NIH researchers, suggests that the infections came from contaminated water pipes where the bacteria had been living since 2004, shortly after the construction of a new clinic center. 1, and mushrooms were found in medicine vials in 2015. 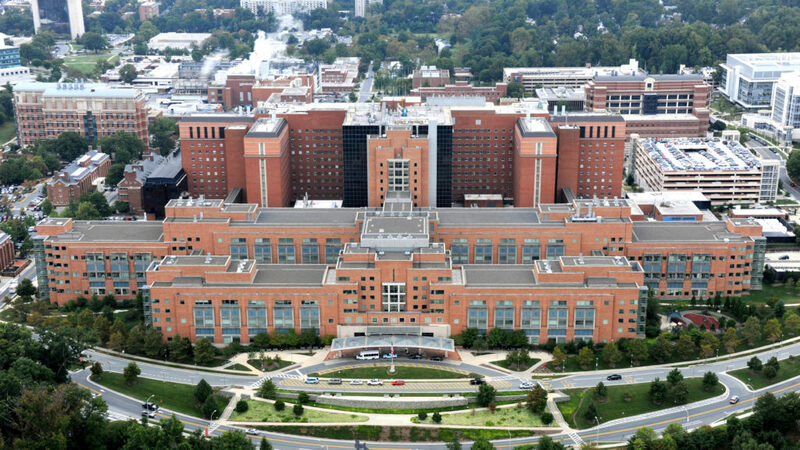 After a devastating April April report, it was noted that NIH researchers sometimes jeopardize patient safety, and Director Francis Collins replaced the top leadership of the Clinical Center. However, infections such as these are not uncommon in medical centers – the Centers for Disease Control and Prevention estimate that about 4 percent of hospital patients fetch diseases from the hospital environment. "It's no exception for a hospital to have [hospital-originating] an infection," Dr. Tara Palmore, hospital epidemiologist at the hospital and one of the authors of the study, in an interview. "They occur in every hospital." Wednesday's paper is the first comprehensive disclosure of Sphingomonas koreensis infections by the NIH. Palmore said that information about the infections was presented at a scientific meeting in 2017 and at an online NIH lecture. "Scientific publishing is one way for many to discuss information – and always has a lag time," she spokesman said. According to the newspaper, the hospital became aware of the problem in 2016, when six patients at the clinic received similar infections over the course of six months. They were all infected with some sort of Sphingomonas bacteria that live in the water. Four were infected with the drug-resistant Sphingomonas koreensis and three of them died. It is unclear whether Sphingomonas koreensis has killed the patients who had undergone stem cell transplants, making them susceptible to infection. Three deceased patients also had several other life-threatening conditions that were complications of their underlying disease, "Palmore said. [[Sphingomonas koreensis] are pretty weak bacteria," she said. "But in a patient who is heavily immunosuppressed, you do not need high-virulence bacteria to cause more disease." The cluster of Sphingomonas infections prompted researchers to search the hospital's water infrastructure to find out where the bacteria might have been hiding. They found Sphingomonas koreensis living in water that came from the faucets in patient rooms, as well as in the faucets themselves. The paper describes some changes that were made to the clinic center's water system after the cluster's discovery of the temperature of the water and water Adding more chlorine. Palmore said the low chlorine level had been identified and remedied within days. "It's a long-term project in our hospital, which is progressing slowly, because we can not turn the entire hospital into our lab," Palmore said. Since 2016, when the changes were made, no new Sphingomonas koreensis infections have been reported in the Clinical Center. This story was commented by Dr. Ing. Tara Palmore updated. Ike is a correspondent from Washington, reporting at the interface of life science and national politics.